People watch TV and movies for many different reasons. One of the best ways to attract an audience is with a recognizable star. Even in those instances, however, there are times when it feels impossible to separate the story and the actors from the props. Imagine Thor without his hammer or Spider-Man without his costume. These movies would not be the same without the iconic props associated with them. Fans are not the only ones who fall in love with their favorite characters and the props they use. Sometimes, actors become just as attached. Unlike the rest of us, these famous entertainers are in prime position to take the props that made them famous—even if it means breaking the law. Here are 10 famous props and the actors who stole them. Avengers: Infinity War has been a hit at the box office, raking in more than $2 billion in less than two months. The third Avengers movie brings together cast members from different Marvel movies, including Chris Hemsworth in the role of Thor. Hemsworth has gone on record as saying that fans who were surprised by the Infinity War cliffhanger will be even more shocked when Avengers 4 is released in 2019. While his teaser may or may not come to fruition, Hemsworth has engaged in shocking behavior of his own. 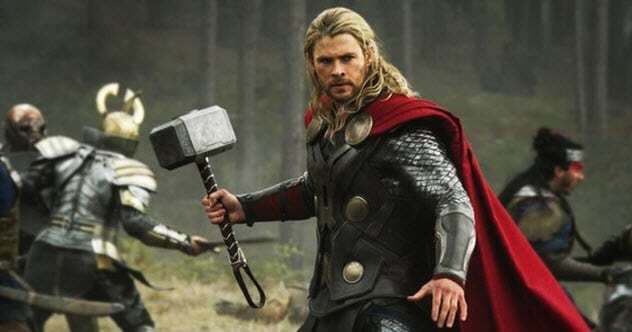 The actor has swiped several of his character’s iconic hammers from film sets. Rather than express remorse, Hemsworth noted that coming clean publicly about his kleptomaniac tendencies has made it more difficult to steal additional props because the crew is now on the lookout for him. One of the biggest Star Wars plot holes deals with how easily Luke Skywalker destroys the infamous Death Star in the final movie of the original trilogy, Return of the Jedi. George Lucas initially explained the oversight as the result of the Empire’s ego, but 2016’s Rogue One imagines a much different scenario in which the plans of the Death Star are stolen by Rebels. 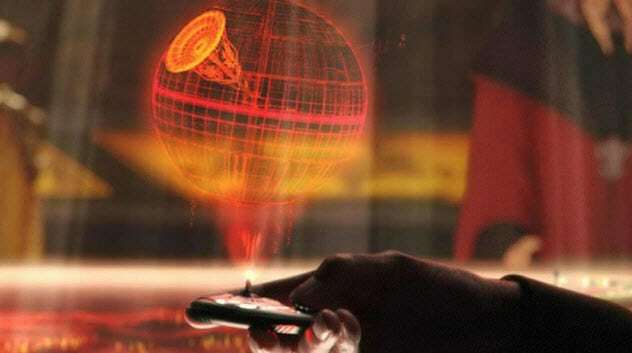 The fictional heist of the Death Star plans was mirrored by the theft of the movie’s prop in real life. Gareth Edwards served as the movie’s director and is an open fan of the Star Wars franchise. He took his fanboy impulses to the next level while directing Rogue One and made off with the plans delivered to Princess Leia in the movie. One of the highlights of any Spider-Man movie is the red-and-black costume. The iconic superhero costume has been around for more than 50 years, but new details or interpretations can be added at the request of the director. The director of The Amazing Spider-Man 2 made just such a request. 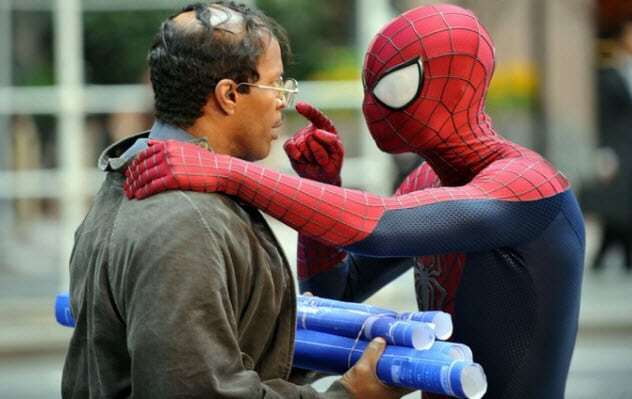 Marc Webb wanted the costume for his film to be heavily based on the classic Spider-Man costumes, but he also wanted a modern slickness to take it over the top. Oscar-winner Deborah Lynn Scott was chosen to make the costume. Having worked on films such as Avatar, Titanic, and Back to the Future, the job was in good hands. 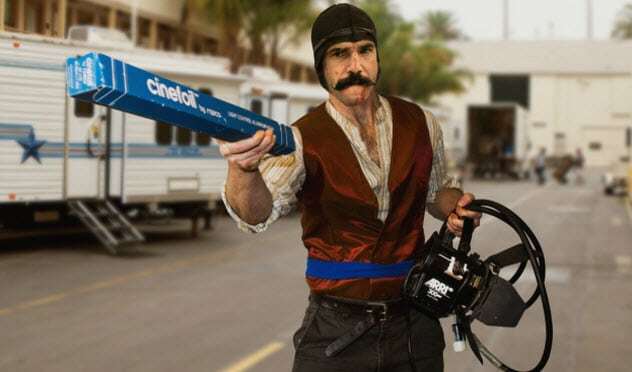 Scott made several costumes for filming, but one slipped less-than-accidentally into the hands of star Andrew Garfield. After stealing the costume, Garfield cryptically suggested that it might have found a temporary new home in either his luggage or his car. Guardians of the Galaxy debuted in 2014 and unexpectedly took audiences and critics by storm. The film brought in nearly $100 million during its first week, surpassed initial financial projections by approximately 20 percent, and spawned a sequel. While cast members such as Chris Pratt, Zoe Saldana, and Vin Diesel are strong audience draws for the film, Pratt’s wardrobe for Peter Quill/Star-Lord is also closely associated with the movie’s appeal. 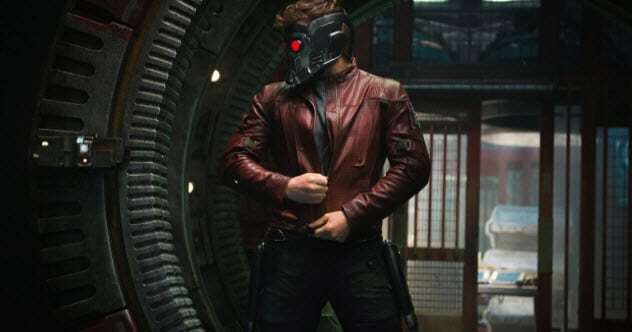 Oscar-winning costume designer Alexandra Byrne worked closely with several departments to create the Star-Lord’s look that is part cowboy, biker, and rock star. Pratt admitted to stealing his character’s jacket and some of the wardrobe. Lest you think him a scoundrel for his scavenging, Pratt claims he took the items so that he can visit children in the hospital while dressed as the Star-Lord. Downton Abbey premiered in 2010 and quickly became a massive hit. Set in England during the early 1900s, Downton Abbey focuses on the very different lives of rich aristocrats in a castle and the poor servants who attend to their needs. By the end of its six-season run, Downton Abbey had become the most watched show in the history of PBS and was referenced in pop culture shows ranging from Parks and Recreation to Iron Man 3. 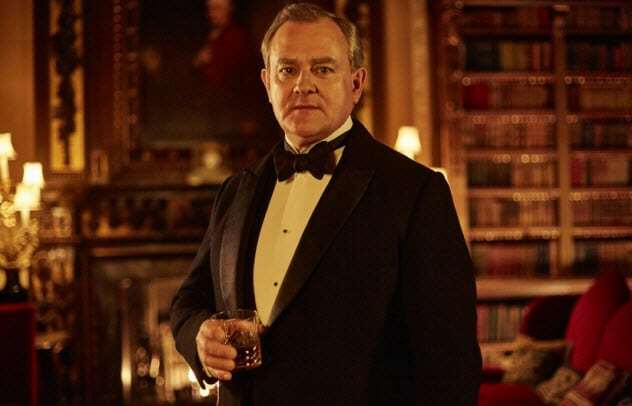 Hugh Bonneville contributed to the popularity of the British show with his portrayal of Robert Crawley, Earl of Grantham. Bonneville thought the show ended at just the right time but had difficulty saying goodbye to a carefully crafted letter produced by Downton Abbey’s art department. Bonneville confessed to “liberating” a letter in which a character by the name of Henry Talbot invites the earl and his family to watch a car race. Bonneville keeps the purloined parchment in his downstairs bathroom. Many consider Breaking Bad to be one of the best television shows of all time. The unique premise involves Walter White (Bryan Cranston), a cancer-ridden chemistry teacher making methamphetamine with former student Jesse Pinkman (Aaron Paul). Along the way, the pair navigate the challenges of the criminal world and are occasionally forced to dispatch enemies who stand in the way of their goals. In a graphic episode entitled “Face Off,” the two main characters attach a bomb to the wheelchair of an old man in a nursing home and actually blow the face off an enemy they lure to the building. Paul made off with the half-obliterated head and keeps it in his media room to scare unsuspecting houseguests. Few television shows have had as much of an impact on pop culture as Star Trek: The Next Generation (TNG). The second series of the Star Trek franchise is thought to be among the best of the bunch and features memorable characters such as Captain Jean-Luc Picard (Patrick Stewart), Will Riker (Jonathan Frakes), Counselor Deanna Troi (Mirina Sirtis), Beverly Crusher (Gates McFadden) and the android, Data (Brent Spiner). On the last day of filming, Spiner asked the production crew if he could have one of the 17 uniforms he had worn throughout the years. His request was denied. Disappointed, he left the set and went to meet his castmates for dinner. There, he discovered that Frakes and McFadden had walked off the set in their uniforms to keep them. The original Spandex uniforms, which were replaced with wool gabardine versions in later seasons, were notorious for being too small, too smelly, and too inflexible. 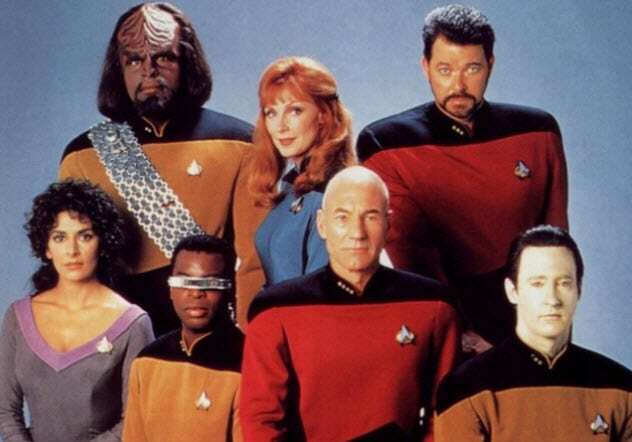 However, it seems that several TNG castmates still have the option to wear the refashioned uniforms. The Lord of the Rings trilogy brought the books by J.R.R. Tolkien to life and made nearly $3 billion worldwide in the process. The epic fantasy traces the journey of Frodo Baggins and his companions as they seek to destroy an evil magical ring. The series continues the earlier journey of Frodo’s “uncle” (actually cousin), Bilbo Baggins. If it were up to Ian McKellen, Bilbo would have difficulty getting into his house. McKellen played the role of Gandalf the wizard and continued a decades-long tradition of absconding with props from his movies. 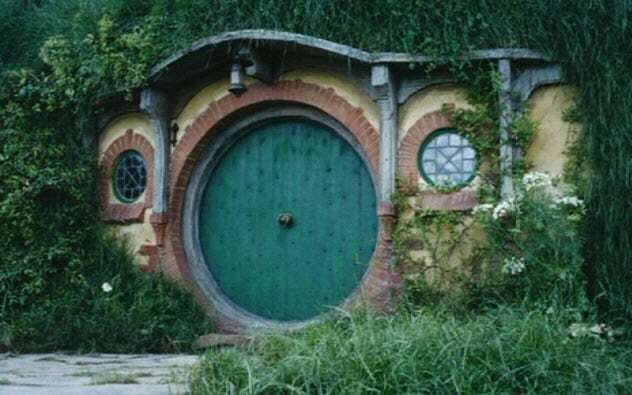 In addition to Gandalf’s sword, McKellen also permanently borrowed the keys to Bag End, the home of Bilbo Baggins. Director Peter Jackson was aware that the keys had been taken but did not know the identity of the culprit. McKellen worked hard to keep it a secret and maintain his streak of stealing from every job he takes. Daniel Day-Lewis is the only actor to have won three Academy Awards for Best Actor. In addition to his wins for My Left Foot, There Will Be Blood, and Lincoln, Day-Lewis also received nominations for Gangs of New York, In the Name of the Father, and Phantom Thread. Day-Lewis is famous for his method approach to acting in which he refuses to break character even when not filming. He has turned heads on more than one occasion as he looted set after set in full character. For example, while playing the role of the murderous criminal Bill the Butcher in Gangs of New York, Day-Lewis routinely made off with everything from prop knives to slates and apple boxes. Day-Lewis also absconded with an item or two while playing the 16th president in Lincoln, though to what Day-Lewis attributes the president’s penchant for pilferage remains unknown. Whether you are talking about the books or the movies, Harry Potter permeates pop culture. The Harry Potter movies have made billions of dollars and excited the imaginations of children and adults alike. Rupert Grint played the role of Ron Weasley in the beloved fantasy series. As a child actor, Grint may have lacked some of the poaching prowess of older actors as evidenced by his attempt to take home an unauthorized keepsake. 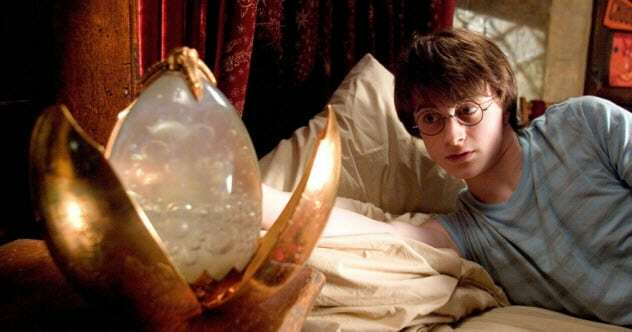 Grint was so enamored with a golden dragon egg containing an embedded crystal that he smuggled it home in a pillowcase. Unfortunately, Warner Bros. soon began an intensive search for the missing prop. Grint anonymously returned it, having spent less than 13 hours with his ill-gotten gains. Read more bizarre facts about famous actors on 10 Crazy Ways Actors Prepared For Drug Addict Roles and 10 Shocking Weight Transformations By Actors For Films. 10 Flame-On Fantastic Four Facts!